Club Penguin Cheats by Mimo777 Club Penguin Cheats by Mimo777: New Club Penguin Book: The Epic Official Guide! 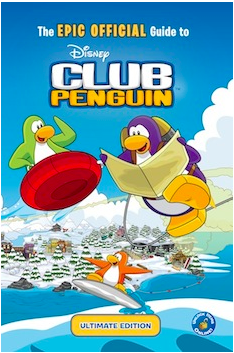 Starting this Thursday, August 16, Club Penguin will be releasing The Epic Official Guide to Club Penguin book! It'll be available in stores across the USA and Canada! CP books always come with a item you can unlock online, and with this Epic Official Guide, you'll unlock a rare item: the Expedition Backpack! So be sure you pick up your copy Thursday and tell me what you think! I cant wait intill it comes out in The Uk yay!